Blog — Silo Coffee Co.
1. You want to add something unique for your guests. Over the years, weddings have become more and more specific to the bride and groom. There are no one-size fits all, and we LOVE IT! Whether it’s a unique venue, theme, or a super charming coffee camper, people are making their weddings reflect more of who they are as a couple and what they enjoy. Wilfred’s new to the scene, providing guests with an array of specialty crafted espresso drinks that folks will sip with delight! 2. You’re obsessed with coffee. Okay, okay – we are biased, but coffee makes the world go ‘round. 😉 You can find this delicious beverage at your local café around the corner or brewed in your own kitchen - it’s part of your everyday routine. So why not bring that coziness (hygge anyone?) to the biggest day of your lives! And don’t worry, Wilfred isn’t biased when it comes to being hot or cold. We can make your drink your way for the season, and don’t forget that we offer cold brew, too! 3. You’re not that into alcohol or want to provide another option to guests. Open bar has been a staple for weddings, big and small, offering an array of mixed cocktails, wine, or a glass of beer. While that’s all fine and well, some guests may abstain or prefer something rich, and wish they had a tasty coffee in-hand after eating dinner and hearing those tear-jerker speeches. Skip the blah caterer provided coffee that percolates all night, and opt for hand brewed, made-to-order specialty drinks. Our packages are flexible for your number of attendees, too. The Pour Over Cart accommodates up to 100 guests. Wilfred the Silo Camper starts at just 25 guests & can manage 150(+)! 4. Wilfred is so chic and cute, you’ll want to Instagram it all night. 5. The caffeine kick will have everyone out on the dance floor! While things are changing in the wedding space, offering so many new and fun things, one usually remains – and that’s dancing! You won’t have to worry about anyone acting slug while the electric slide is playing. They’ll be having the time of their lives and feeling great while boogying away! We can offer some non-caffeinated beverages, just in case too! For us, it all starts at the origins of coffee. This is our primary motivation, our “why”, and why we started Silo. Take, for example, the Boquette region in Panama. This is a mountainous area known for beautiful weather and some of the world’s best coffee. Indigenous people from around the region (you can read about our work to provide clean water for the Ngobe-Bugle people here) migrate to these farms during harvest season to work harvesting coffee. We care about these harvesters, desiring that they have access to clean water in their communities, and are paid fairly for their hard work and incredible coffee. This is the foundational component of the “village” of the coffee industry, and it’s the one that all other pieces need to value as well. 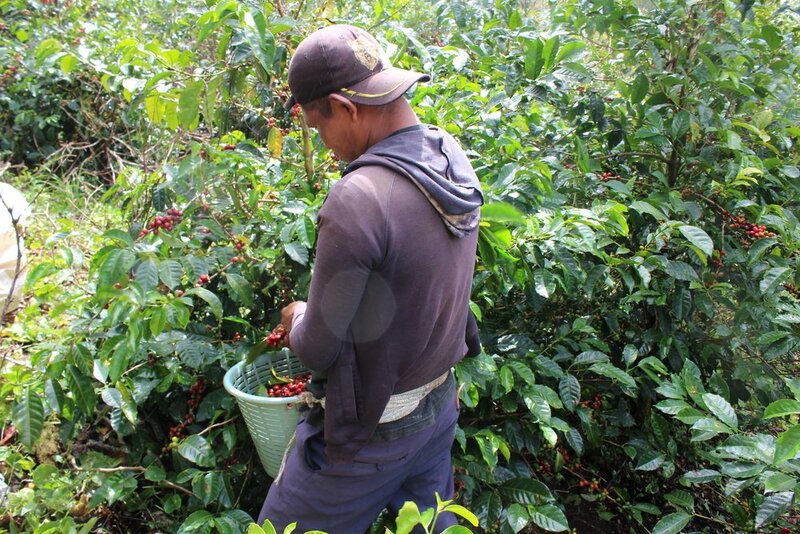 After coffee is harvested and processed at a farm, it needs to be sold and shipped out. Only a small portion of the coffee will be sold in the country of origin. This is where the importers come in. It takes a particular set of skills (not those of Liam Neeson) to work out the logistics of importing and exporting, and so this is done by folks who specialize in this piece of the puzzle. Roasters sometimes directly import, but more often purchase coffees through importers they’ve developed relationships with. There’s a growing number of importers in the industry who desire to see coffee farmers succeed as well, and reflect that in their pricing models. What most roasters are looking to purchase is green coffee. While sometimes coffee can be roasted at origin and then imported, this is not ideal, as coffee is able to retain its freshness overtime if it stays green. In other words, coffee tastes freshest when you drink it as close to the roast date as you can. Our coffee is roasted by Blueprint Coffee and we love that they pull us alongside their importing process, allowing us to see all these pieces of the puzzle transparently, ensuring our mission of quality and fairness is realized on all levels. We work with Blueprint to choose a coffee that we know you’ll love, and that also meets these goals. We found it difficult to find a coffee that not only tasted great, but that we were confident came from a place of equity, and truly gave back to make the world a better place. It’s our hope that we can provide this for you easily in Silo Coffee + Goods. We believe it should be an easy choice for consumers to purchase products that they know are great quality and great for the people behind the production of that product. You can be confident with Silo that 10% of our profits go back to funding clean water projects in coffee farming regions. Our primary purpose is to give individuals like you (as well as larger organizations and businesses) a way to easily participate in this “village” model of promoting change in the coffee industry. So, how will you vote today? We wanted to take just a minute and tell you about some major changes happening at Silo Coffee + Goods. First, as of July 1, we will be closing our cafe at 4818 Washington Blvd. Our events, wholesale, and online sales will still continue, and more great things are in the works, so don’t fret! This has certainly been a bittersweet decision for us. We’ve loved all the great people we’ve gotten to know in the Central West End, and it was a lot of fun getting to share our story with people face-to-face on a daily basis. However, we’ve decided to close for a couple of reasons. The biggest reason is simply that our events and wholesale have been very successful, making the cafe the weak link in the chain. 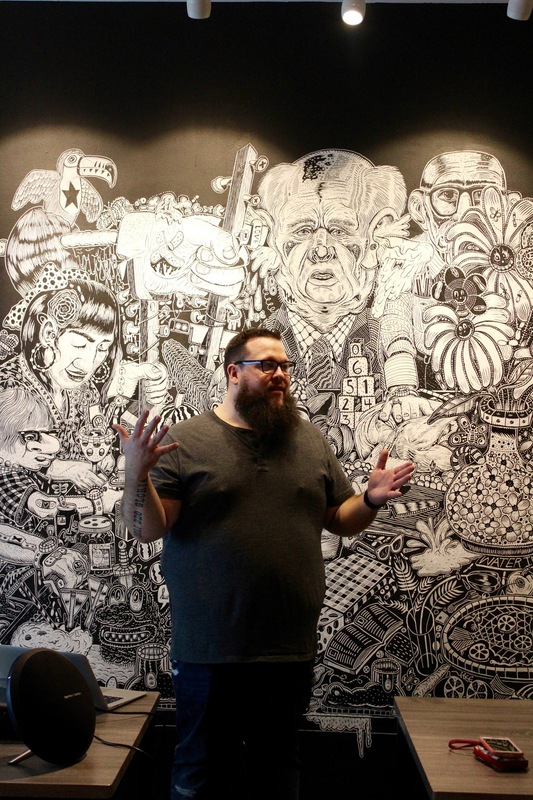 We love doing events - getting out, meeting great people, and introducing good coffee to new places. 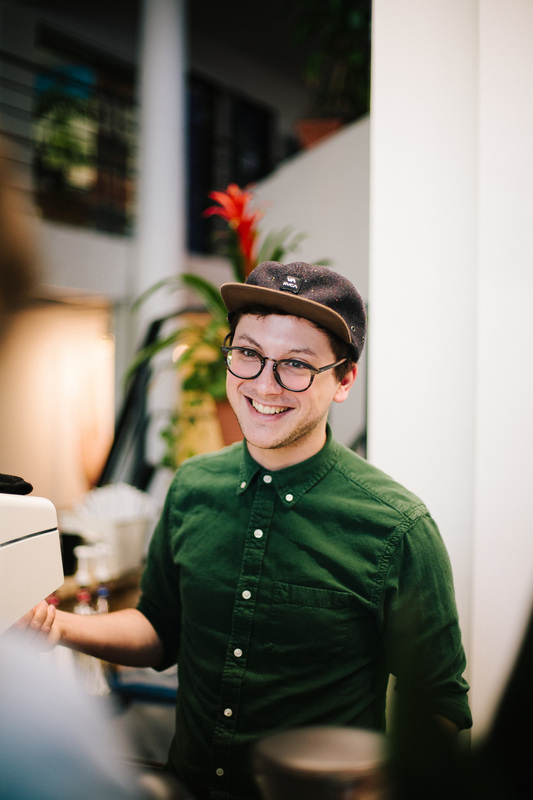 We love having wholesale partners, getting to connect with them regularly, and putting the mission of Silo Coffee + Goods before organizations of people. These arms of our company are working to fulfill our mission of sourcing coffee from coffee farming communities and giving back to provide clean water to those same places. We felt that if we really wanted to honor our mission and seek to succeed in it, continuing to spend a great amount of time and resources to our cafe would be irresponsible. So instead, we’re going to shift our priorities to pursue events and wholesale with even more care and quality. Keep your eyes out for more on this, we have great big plans to make events awesome. 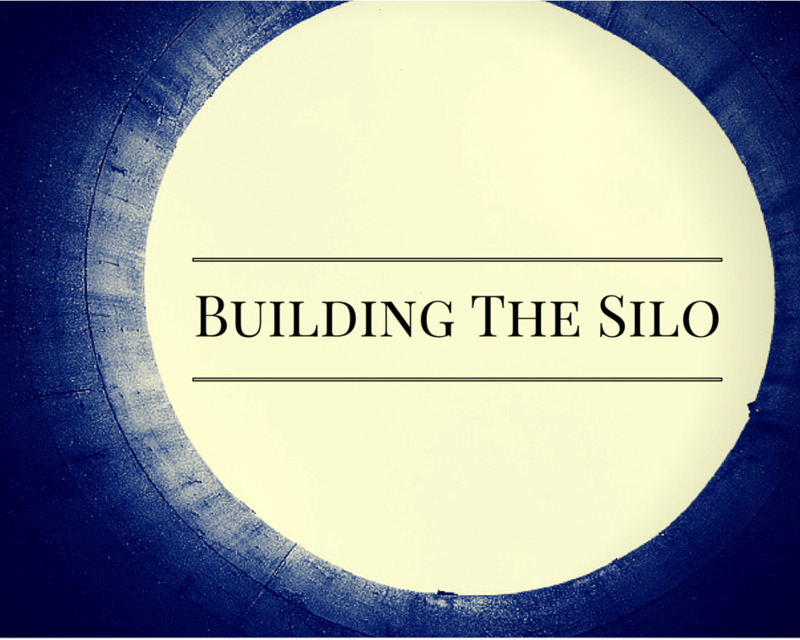 Silo + events = big and awesome, just you wait and see, you can’t argue with math. So, what does this mean for you? Knowing this was coming, we’ve made it easy for you to set up a coffee subscription with us to get Silo coffee coming to you on a regular basis! We want to help you become a coffee master, giving you the tools to make your kitchen a place where delicious brews are happening. Head on over to silogoods.com/subscribe and silogoods.com/brewguides for more info! We’ll also be bringing our mobile cold brew set up to the World’s Fare Event in Forest Park August 19-20! Come on out and check out tons of vendors, have a good time in the sun, enjoy great coffee, and catch up with your favorite Silo baristas. We’re still committed to providing you with good coffee, and using that coffee for good. Remember us when you’re planning your workplace get together, block party, or even a wedding! We’ve got a mobile pour over and cold brew bar itching to get out in the world, and soon espresso will be on the menu! If you want good coffee that does good in your own kitchen, you can pick it up from any of our retail partners, or online at silogoods.com. And the next time you grab a free cup of coffee from your workplace or church coffee pot, consider if the mission of Silo Coffee + Goods is a mission you’d like to drink to. One of our summer time favorites is lavender lattes. Last summer we carried a lavender syrup in our cafe, and this year we've decided to bring it back alongside the warmer weather. Our good friends over at the CWE Farm have given us some locally grown lavender to try this with and we're loving how the floral flavors mix so well with espresso. Fully dissolve 1 c sugar into 1 c boiling water. Measure out 1 T of lavender buds, pour into dissolved sugar mixture. Stir lavender into the syrup until all the lavender has been submerged. Cover and let sit for at least 24 hours to let the lavender flavors infuse into the syrup. Pour the syrup through the strainer to remove the lavender buds. You're finished! Store in an airtight container and enjoy for up to two weeks. To enjoy in your favorite beverage, add an ounce or two of the syrup to your drink and stir well. Our hometown has a pretty solid coffee scene, and the number of great specialty coffee places is definitely growing! But when we travel, one of our favorite things to do as a couple is to try out new coffee places. We've become a little particular about our coffee by now, so it's always nerve wracking to hope we find a place that has quality coffee! So whether you live here in town or may just stop in for a visit, we hope you find this guide helpful to finding your ideal cafe and a great cup of coffee. We've put together this little guide to our top 3 coffee places in town, and of course the Silo cafe is on the list!! Looking for a great brunch spot where you can also get Silo coffee? Or a place to take friends for the best espresso in town? What about your weekday coffee spot? We've got you covered. 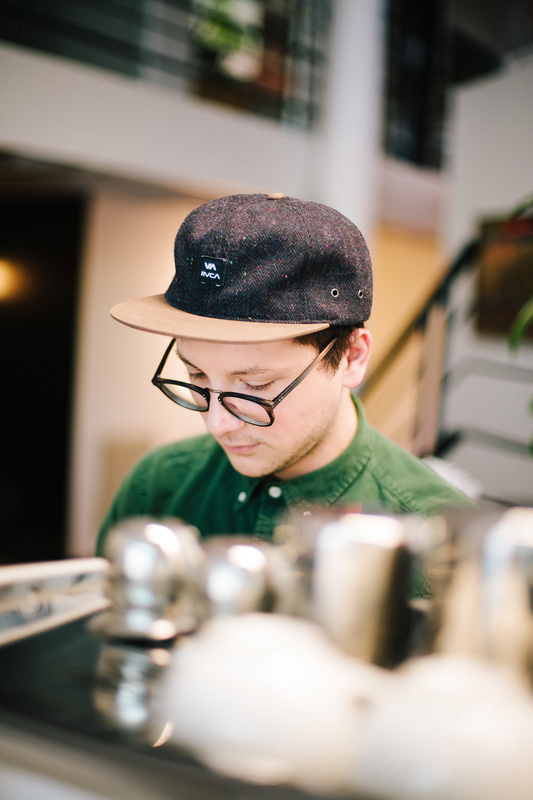 Our talented friend, Adam Fischer, took these photos of our cafe and we want to share them with you. My family is made up of: My beautiful wife, Rachael, and the cutest cat this side of the Mississippi, Toulouse. At a new coffee shop, I usually get: Chai. I like to call it coffee because it drives Rachael nuts. If I could have any super power, it would be: Having some kind of crazy impenetrable shield/skin on command. Take that, mosquitoes. My actual, real life super power is: I can get a song stuck in my head and that sucker is trapped in there for days. My preferred coffee brewing method is: Pour overs. I nerd-out about: Theology, music theory, and CS Lewis books. ______ give(s) me nightmares: The texture of foam. Coffee makes me feel: mugs, usually. One time I ______ and it was crazy: Drank a whole gallon of milk in one hour. Then got to see the whole gallon again in reverse. Well that's embarrassing. Please explain: 12 year old Anthony was so good at hoops... that is, hoops of the video game, NBA Street Vol. 2 variety. When I would sink a sick dunk or something, the announcer on the game would say, "Get that man to the clinic, 'cause his skills are sick!" Those sick skills birthed the best screen name to ever grace the internet. 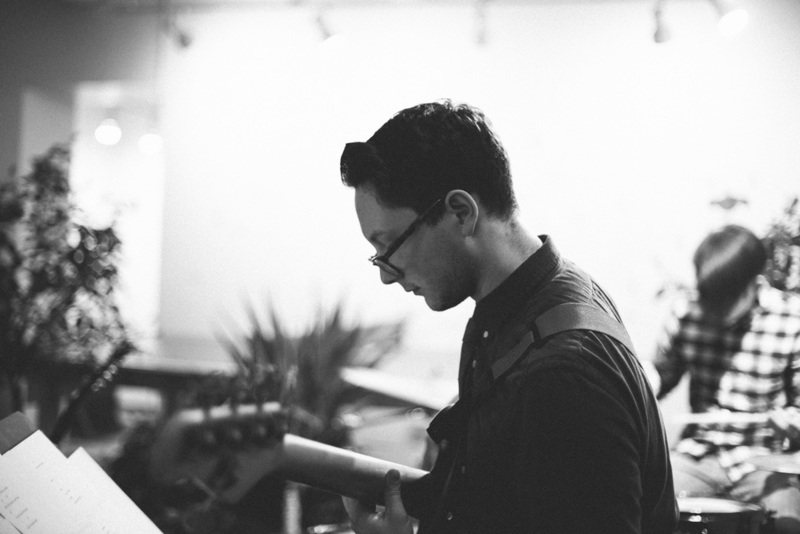 Welcome to the first entry to our Meet the Team series! As Silo seeks to be a place where good things gather, we wanted to give you a look into the good things already gathering - namely, our team! We hope you enjoy learning more about us, and please keep all heckling and name-calling confined to public places where it is funniest and most embarrassing. My family is made up of: My amazing husband Anthony, and the cutest cat this side of the Mississippi, Toulouse. At a new coffee shop, I usually get: their house drip coffee, black. If I could have any super power, it would be: never needing to sleep, but I could if I wanted. Basically like I'm always drinking red bull. Or coffee. Coffee makes me feel: like not a zombie. I NEED coffee to wake up. One time I ______ and it was crazy: I was in a small village on an indigenous reservation in the Darien gap of Panama, the rainforest region between where the Pan-american Highway ends in Yavisa and the border of Colombia. We had spent a few days with the community at their regional church conference just trying to build relationships. Trying to experience their culture as much as possible, I wore a paruma (the traditional skirt women wear every day), bathed in the river, and got temporary hagua tattoos. The morning we were getting ready to leave a sweet woman was selling some baskets and things she had made, approached me to show me this beautiful necklace she had made and told me she wanted to give it to me as a gift! This was so so humbling because it likely took her over a month to finish the delicate necklace. It was the most generous, thoughtful gift and it was so crazy. Well that's embarrassing. Please explain: I was obsessed with Greys Anatomy, and obviously McDreamy, I saw the slogan "McDream on" in their online store and basically ripped it off that. 12 was either completely arbitrary or the year I graduated, at this point, I'm not sure. Midnight tonight holds with it the pregnant anticipation of new beginnings and fresh starts; of untold promises and the mystery of new adventure; of a new year full of unexpected challenges and sweet, sweet victories. This is usually the time we start making goals for ourselves, determined to make the next year better than the last. It's a noble pursuit to take on the humility required to grow. But at Silo, we aren't making any New Years resolutions. No, instead, we're going to keep pressing on towards the goals we've had from the beginning. We've always known we wanted to continue to grow, increasing our capacity to do more good. We've always planned to see clean water reach those who need it through one of our first and earliest partners, Solea Water. And we're so excited to make tangible steps towards bringing you really good coffee. These are not resolutions, subject to the strength of our own willpower. These are the things this Silo was built on, so 2016 will not bring new directions, but growing even higher on the same foundation. Right now, we hope you've been enjoying our Las Mercedes coffee from Colombia. We've been incredibly blessed to have contacts who have connected us with this microlot, and boy-oh-boy, the coffee has been so good. But starting in 2016, we're excited to finally start getting into the communities where Solea Water is doing their clean water projects as well. This means that as we add new crops and roasts for you to enjoy, we'll have an even more direct relationship with these farmers. We'll be helping these coffee-farming communities economically, while simultaneously providing Solea Water with the ability to provide clean water infrastructure to those same peoples! To give you juicier details, we know for a fact that Solea will be visiting Haiti and Panama in the first few months of 2016, and we'll be checking out farms in those countries during that time. Hopefully, before too long, we'll have even more varieties of delicious specialty coffee coming your way! In a cup, not directly, that is. In case you missed it, we ran a Kickstarter campaign that ran from November 30 through December 14. You all showed up in a huge way, helping us raise $10,000 toward opening a coffee cart! You can read our previous post for some more details on that. This coffee cart is currently in the planning stages. We're working with our friends over at TechArtista Coworking Center, where the cart will find its home the majority of the time. This is our first major step in getting warm, delicious coffee into your hands. This cart will also be mobile - giving us the flexibility to come meet you at events and the like! We're really excited about this next step that bridges the gap between online sales and a brick-and-mortar shop that is still down the road for us. 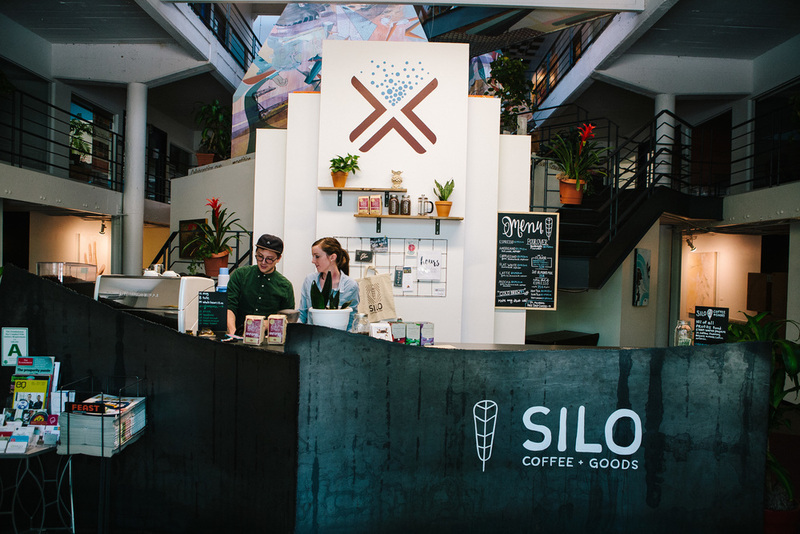 We wanted to be sure to share our vision for the exciting things coming this year for Silo Coffee + Goods, and we hope that you'll join us as this Silo continues to grow! Here's to 2016 - may good things continue to gather for you and yours! I'm not sure if it's sinking in for you yet, but we're halfway through December. HALF. That sneaky ninja, Christmas, has sneaked up on us once again. Who knew a big bearded man in a bright red jumpsuit could be so discrete? Well if Santa got the jump on you this year, don't fret, because we've collected a few gift ideas for you and your coffee-loving friends. 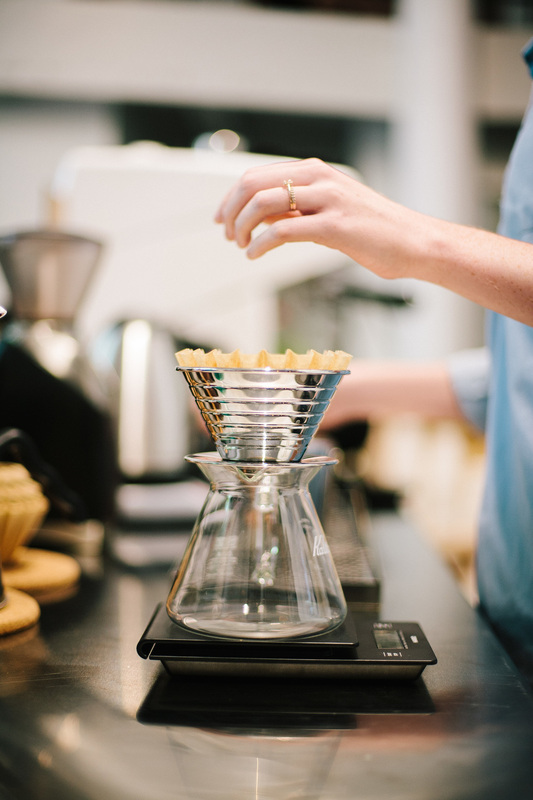 Puns aside, we love the Kalita Wave. 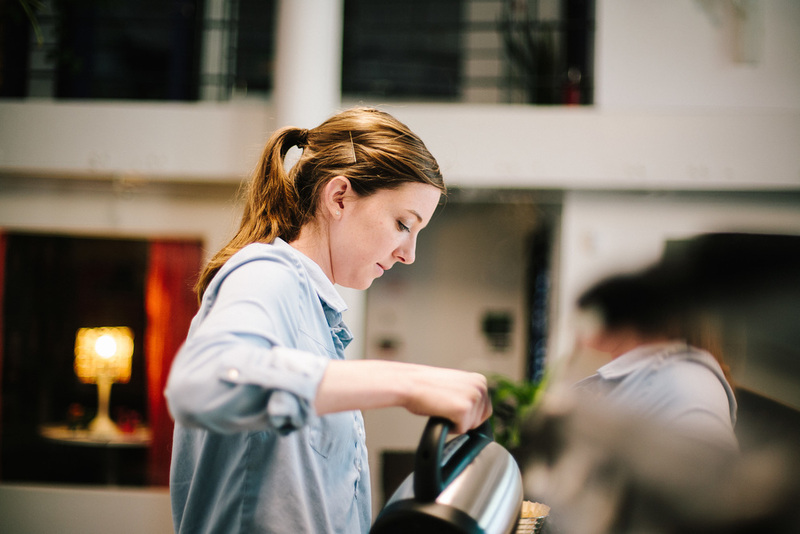 We're already big pour over fans here at Silo, but the Wave is doing a lot right. First, it's quality. So if you don't know the difference, you don't have to be concerned you're buying something your beloved coffee snob will return. Second, it's forgiving. This means there's a larger margin for error, so to speak - so whether you're buying for a coffee-stained veteran or a white-toothed newbie, this will get the job done right. And third, this thing's just good looking. That stainless steel is a beaut! Recently, Rachael (my wife and Silo co-founder) was perusing the good ol' Interwebs and found some awesome pour over stands made of copper pipe. She decided she'd make one, and by golly, it was done within a week! If that sounds like your style I promise you it was quite easy to make happen, fits a tight budget, and looks real good. I've already done the Etsy search for you, and you can pick up the materials for any of these at your Home Depot equivalent - or just buy it from the Etsy shop if you're strapped for time! Even if you don't know a coffee bean from Jimmy Bean, there's hope for you yet. Like these awesome socks from Betabrand and Espresso Parts. If you're buying for a coffee lover, merch is a fun way to show them you know their passion... without having to know much about it. If they've got a favorite shop, surely you can pick up a shirt, a mug, a hat, or the like. If not, grab something a little more general, like these socks - easy peasy. Novel Idea: Buy Them Coffee! I mean, if you're trying to buy a gift for a coffee-loving friend, we can put our money on the fact that they love coffee. I'm going to be honest: once upon a time I had to drown my poor coffee in a torrent of creamer. But our Las Mercedes coffee was instrumental in my switch to black. It's smooth and creamy, and it gets sweeter the longer it cools down. So if all else fails, head over to our store and pick up a bag. And you can assure the recipient that not only was this coffee traded directly, thus ensuring a fair wage for the microlot farmer who raised it, but that 10% of that gift went back to bringing clean water to those who need it. Now that's a Christmas gift. If you're still looking for more, check out our Kickstarter page, where contributing can net you limited edition Silo merch and other sweet rewards! Get in while you can, our campaign ends Monday, December 14! Best wishes on your last-minute shopping, and the happiest of holidays from the Silo team. Thanks to everyone who was able to join us! 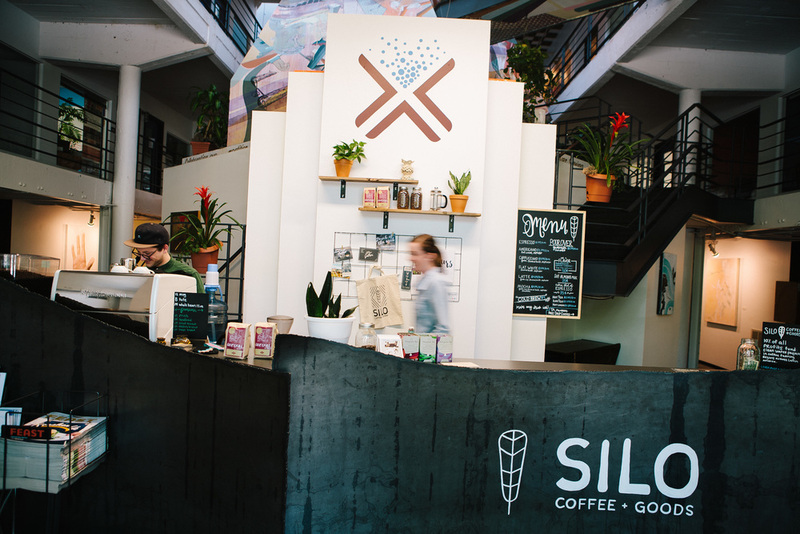 We had a blast sharing Silo coffee with you and hope you enjoyed it too. "Don't put the cart before the horse," they say. One time I committed to biking 100 miles over a weekend - before I even owned a bike. 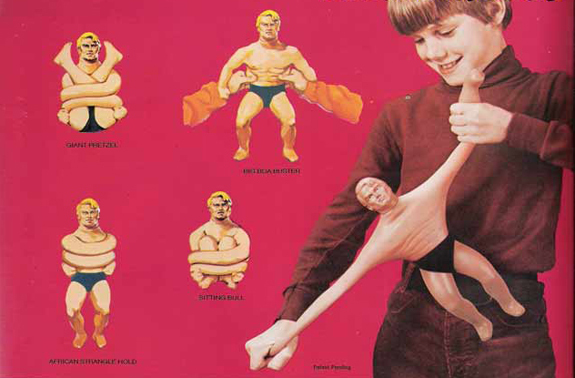 My legs felt like Stretch Armstrong for a week. I just recently purchased an amazing Secret Santa gift... Now I just have to ask my friends if they want to do a Secret Santa this year. 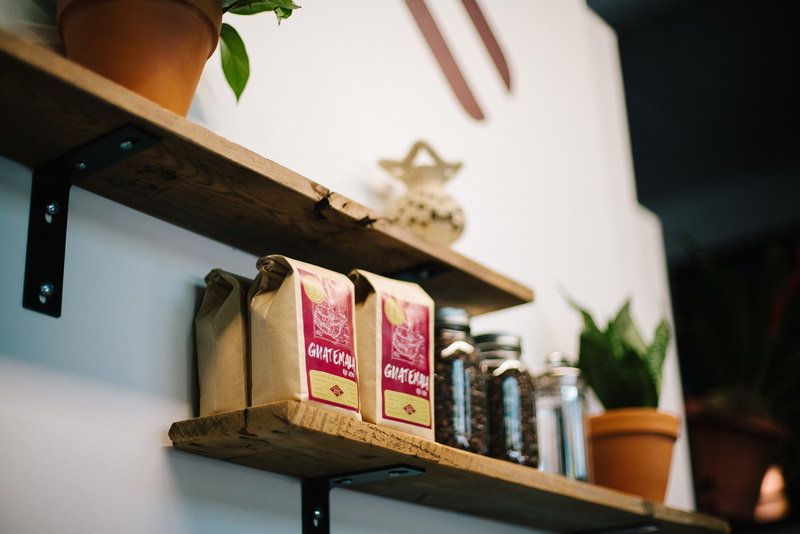 At Silo Coffee + Goods, we don't want to put the cart before the horse. We have a desire to maximize the good that comes as a byproduct of our coffee, and that means we are committed to being good stewards of our resources. We've started selling quality whole bean coffee online prior to opening up a physical, brick-and-mortar location with this commitment in mind. This was our first step (our "horse", if you will), and our next step is quite literally the cart. Our goal is to open a coffee cart, which will have its home at TechArtista Coworking Center. This cart will allow us to begin serving our directly-traded whole bean coffee to you in person! If you didn't know, that means more money will go toward providing clean water through Solea Water. When you buy a cup of coffee from us, 10% of the profit will go directly toward clean water - so not only will your purchase of Silo beans bolster the economy of these farming communities, but you can help provide clean drinking water to those who go without it. With a coffee cart, we can sell even more coffee, and the physical location will create more opportunities for our mission to spread. So while you can know that purchasing our whole bean coffee will provide good in the world, this will take us to the next level, allowing for good to flow at an even higher rate! This is where you come in. Starting on November 30, we're going to be launching our Kickstarter campaign. We want to partner with you to raise $10,000, helping us reach our next goal of opening a physical coffee cart. That evening, please come join us at TechArtista to celebrate the kickoff of our campaign and get a taste of our gourmet coffee! Meet the team and some of our partners, find out more about what we do and why we do it, and enjoy a good time with good people. One step at a time, from bags online to warm cups in your hands, we want to share our coffee with you. And one step at a time, from seed to cup, we're committed to making good things come of it. This holiday season, join the good things that are gathering at Silo Coffee + Goods. Join us from 4-7PM at TechArtista, 4818 Washington Blvd, as we kickoff our fundraising campaign. 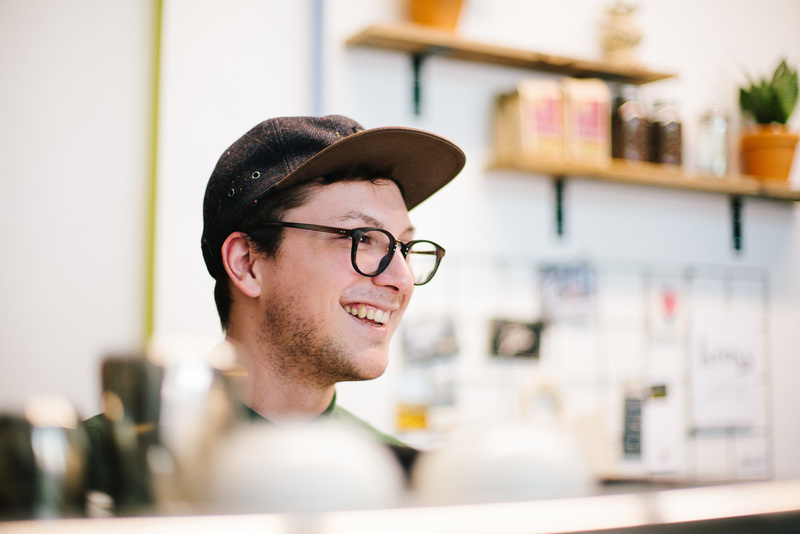 To learn more about how Silo Coffee + Goods is making good things happen, click here. © 2016 Silo Coffee + Goods, LLC. All rights Reserved.